Comment: Jose Mourinho will have big summer transfer budget - but can he be trusted to spend it effectively? 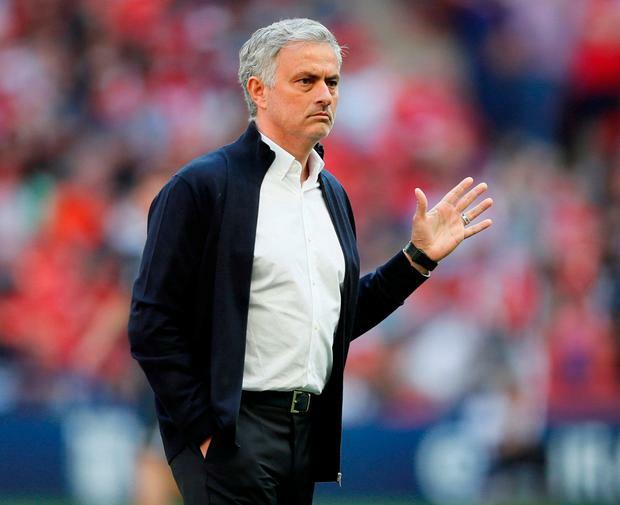 There will be no shortage of backing for Jose Mourinho in the transfer market this summer but Manchester United's hierarchy could be forgiven for shifting a little uncomfortably in their seats at the prospect of the manager gearing up for another round of spending. If the FA Cup final defeat by Chelsea, and a disconcerting second half of the season when more and more fault lines have appeared, have done anything, it is to reinforce the view that more signings alone may not necessarily be enough to help United bridge the gap to Manchester City and the Champions League elite. Mourinho has signed eight players in two seasons as manager and it offers a troubling reflection of the landscape at Old Trafford that only one - Nemanja Matic - has so far escaped his irritation or ire. Most have either been sold, released, frozen out or, in the cases of Paul Pogba and Alexis Sanchez in particular, found themselves in a period of prolonged stagnation, and increasingly frustrated. Will it be any different for those who join United during a truncated transfer window this summer? Pogba added to the uncertainty about his future on Sunday by refusing to rule out a move from United this summer, a 'will he, won't he?' scenario that threatens to cast a long shadow as the nature of his strained relationship with Mourinho is continually dissected. Sanchez admitted in the official Cup final programme no less that he was struggling to adapt to United's style of play. It is hardly selling a dream to would-be recruits at a time when the 19-point gap to City already presents an elephant in the room. Like Matic, Romelu Lukaku had seemed untouchable up until last week but now we learn that Mourinho is angry that the Belgium striker, in his eyes, did not make more effort to be fit for the final after injury and might have been protecting himself with the World Cup in mind. There is not enough goodwill in the dressing room as it stands for Mourinho to be picking needless fights with one of the few players consistently pulling his weight. Henrikh Mkhitaryan, a £26.3m signing from Borussia Dortmund in Mourinho's first summer in charge, left in January in a swap deal with Sanchez. The Armenian never did really win Mourinho's trust over his 18 months at the club. Two months later, Zlatan Ibrahimovic was also gone, the veteran Swedish striker joining LA Galaxy and re-affirming the view that he should never have been offered another 12-month contract following cruciate knee ligament surgery. Most curious is the way Eric Bailly has been frozen out since returning from a long lay-off with an ankle injury. The Ivory Coast centre-half, signed from Villarreal for £30.4m in 2016, is widely regarded as United's best defender but he has made just five starts since February. Mourinho is said to have been unhappy that Bailly missed the defeat by West Bromwich Albion through illness but reported fit for training the next day. Whatever Mourinho's motives, Bailly's omission felt all the more pronounced on Saturday after Phil Jones got himself in a mess against Eden Hazard and brought down the Chelsea forward, whose penalty decided the game. Mourinho has spent more than £60m on centre-halves who are peripheral. Victor Lindelof, who has looked unconvincing since his £30.7m arrival, did not make the FA Cup final squad, leaving Mourinho to field a defence compromised of players from the Alex Ferguson era, two of whom, Antonio Valencia and Ashley Young, are wingers by trade. Mourinho's complaints about City's "unlimited" spending power certainly carry less weight when he is having such a hard time getting a tune out of so many of his signings, the combination of whom have set United back almost £3000m. It should also be noted that City have yet to commit the sort of sums on individual players that United have. City's record signing is Aymeric Laporte at £57.1m. Lukaku cost United £75m, rising to £90m - as much as the projected fees City paid for Leroy Sane and Raheem Sterling. And, at £89m, Pogba cost £12m more than Kevin De Bruyne and Ilkay Gundogan combined. Paul Pogba has added to the uncertainty over his future by refusing to rule out a move from Manchester United this summer and Alexis Sanchez has admitted that he has struggled to adapt to Jose Mourinho's style of play. Mourinho said earlier this month that he thought Pogba would stay beyond the summer but the France midfielder did little to dispel the doubts over his future during an interview with French TV, saying: "You're never sure of anything." Pogba's relationship with Mourinho has become strained in recent months amid speculation that the United manager would be willing to cash in on his club-record £89m signing for the right offer. Pogba said there were "mental" issues for him to deal with at United as he addressed his relationship with Mourinho. "There were times when I wasn't playing. I was on the bench. Much has been spoken about," he said. "People thought it was wrong but a coach and player don't have to be best friends. They are not forced to go to the restaurant together." Paris St-Germain are monitoring the situation, but Pogba said it was unlikely he would accept a move to the French champions. Sanchez's dismal form since his move from Arsenal in a swap deal with Henrikh Mkhitaryan has been no less of a concern for United fans. The Chile forward, who has scored three goals in 18 games for United, said in March he had been left "psychologically and emotionally exhausted" by his struggles at Old Trafford and he has now said he is finding it hard to adapt, with United being criticised for playing functional, pedestrian football. Analysis: No trust and no patience, can Jose save the Man United dressing room from another 'Mourinho season'?